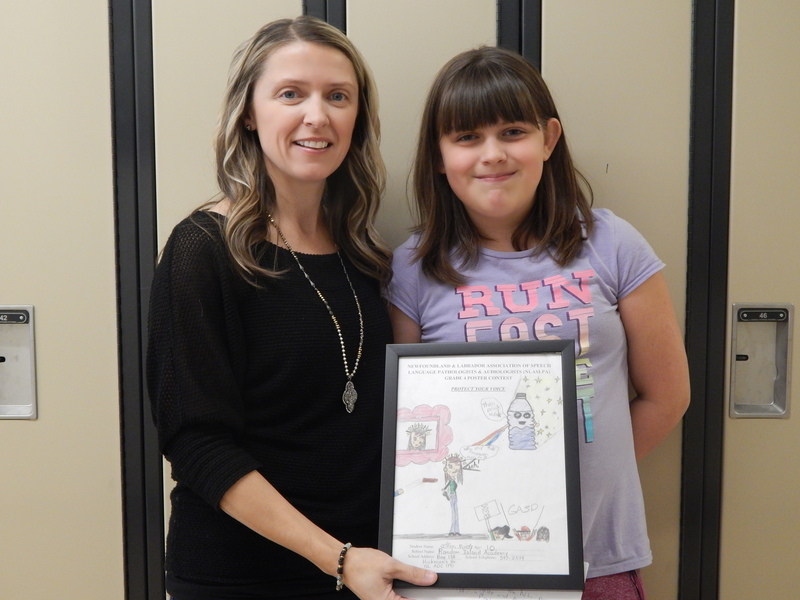 Jillian Pardy has won 3rd place in the NL Association of Speech-Language Pathologists and Audiologists grade 4 poster contest. 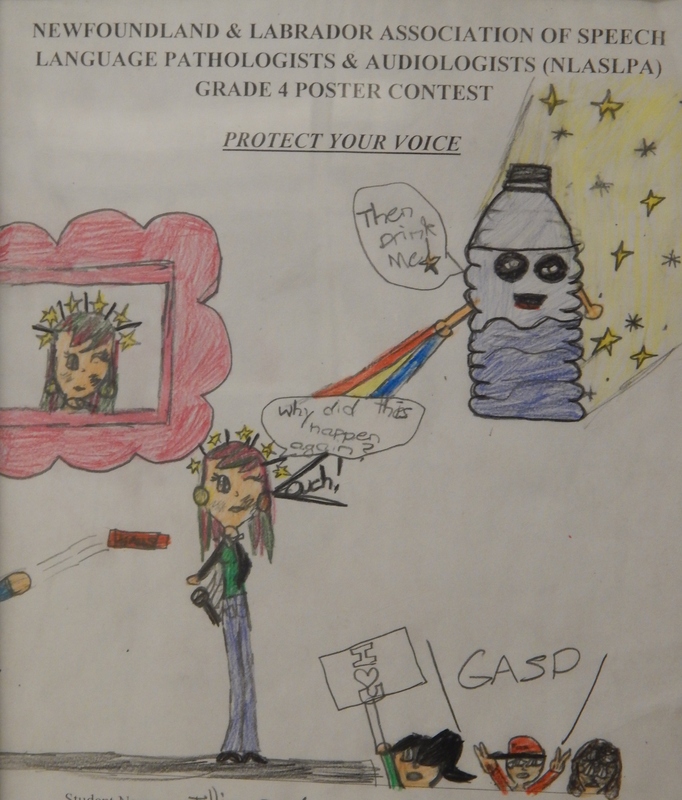 The theme of the contest was ‘Protect your Voice’. Congratulations, RIA is proud of your accomplishments! Thank you to Mrs. Tracy Greening for Making this presentation on behalf of the Association.